The Krula Rebbe Rabbi Moshe Gross was born in year 1950 to his great father and great tzadik Rabbi Yosef Yehoshua Gross Krula Ruv in the city of Satmer, located in Romania. The previous Krula rebbe Rabbi Yosef Yehoshua Gross was born in year 1898 in the city of Satmer, located in romania. The previous Krula rebbe served in his early days as Rabbi in several cities in Romania including the big cities of Krula and Satmer. In 1951 The previous Krula Rebbe and the Krula Rebbe made Aliyah to Israel where he served as rebbe in the city of Bnei Brak Israel. In 1958 the previous Krula rebbe was called to the USA by the great satmer rebbe Rabbi Yoel Teitelbaum To serve as Krula rebbe in the Boro Park section of Brooklyn NY USA. In 1960 the previous Krula rebbe built the first mens mikvah to be used by Hasidim daily before Shachrit prayers. He was known for his outstanding Torah knowledge, and Rabinical supervision for the food and mikva industries. He helped every Jew that came to him for his advice and support like his own family. He served the surging Boro park community until he passed away in year 1986. The previous Krula rebbe was laid to rest in Monroe NY USA in the rabinical section of the Kiryas Joel cemetary. Large crowds of people are always present at his tombstone to pray for blessings from the previous krula rebbe. 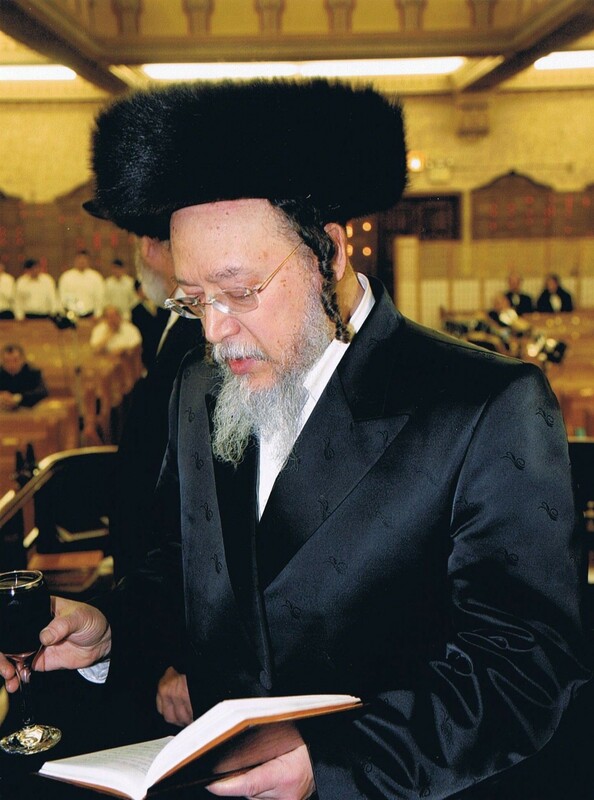 The previous Krula rebbe ordained his oldest son Rabbi Moshe Gross to lead the Krula chasidim worldwide. The Krula rebbe Rabbi Moshe Gross since 1986 is following in his great fathers footsteps taking over where his great father the previous Krula rebbe left off. The krula rebbe Rabbi Moshe Gross continues to provide rabbinical supervision to the kosher food and mikva industry. The Krula rebbe Rabbi Moshe Gross helps everyday people through his blessings and advice, many people merit miracels from the prayers of the Krula rebbe. The Krula rebbe has made this holy work a priority in his daily work helping people in need of blessings and advice. No person is ever turned away from the Krule rebbe. Everyday we can see how countless people walk out with joy and smiles on their face after meeting with the Krula rebbe.